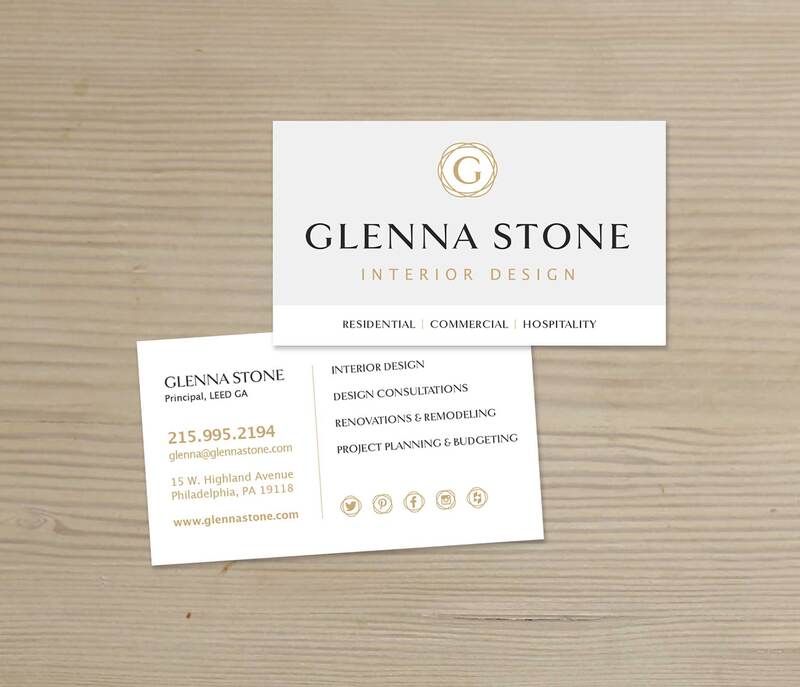 Glenna Stone Interior Design is an award winning interior design firm, working locally and nationally, on residential, hospitality and commercial renovations and new builds. She was looking for a visual identity that reflected the high-quality and refined aesthetic of her work. 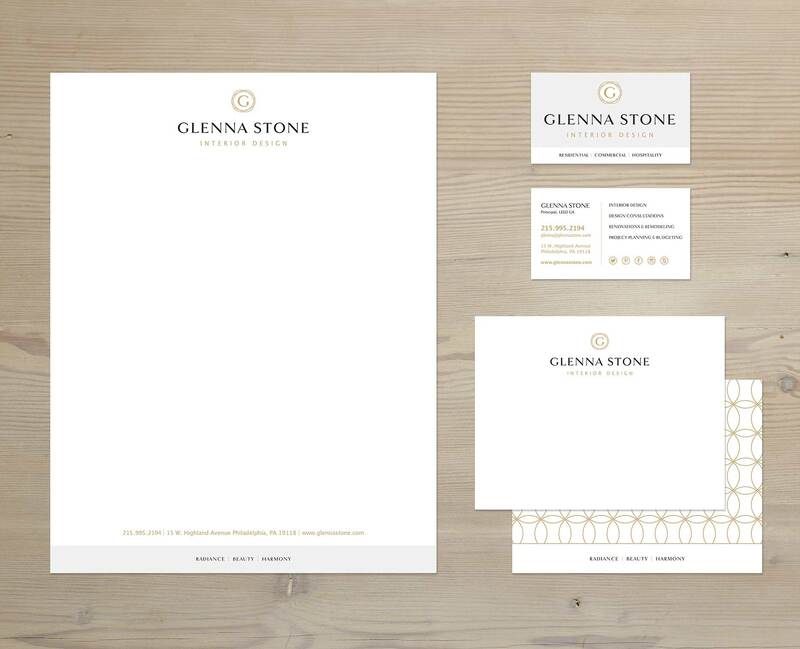 SSC’s five-step Visual Identity Package resulted in an elegant integrated logo that cleanly alludes to the integrated approach Glenna takes to design. Accompanying icons, stationary and promo cards expand upon that logo for a complete branded feel positioning her as professional for success in both residential and commercial markets.